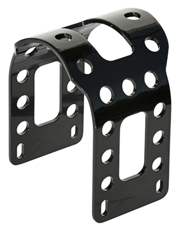 39mm mid-glide fork brace is made for custom Harley Davidson motorcycles (HD), bobbers, choppers and most custom bikes using mid glide triple trees with 39mm fork tubes. This custom motorcycle part for Harleys will add strength and rigidity to your front fork for better handling and safety, especially on choppers and custom bikes using longer 39mm fork tubes. Hi, I’m interested in buying one of your mid glide fork brace for 39mm forks, are you able to ship to Australia, if yes what would the cost be including shipping. Thanks for any help you can give me. Thank you for your interest in Eurocomponents’ motorcycle fork brace. 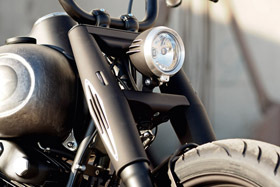 Hi, would this forkbrace fit the new Sportster 2012-13 with stock midglide forks?. 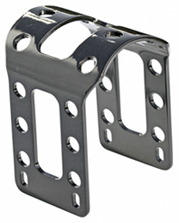 We currently have in stock only narrow-glide fork braces (for stock Sportster’s and Dyna’s). 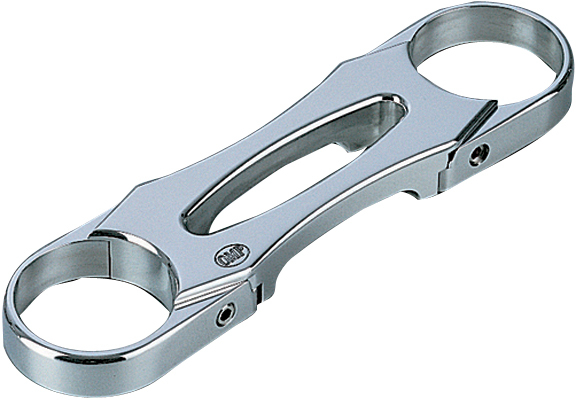 We can prepare for you a mid-glide fork brace in approximately 4 weeks. I have a 2012 Sportster Custom with a mid glide 39mm front end. I am seeking a brace for it. Can you help? Thank you!